Traffic is heavy on all routes to the Oxegen music festival, which is being held at Punchestown Racecourse, according to AA Roadwatch. The festival campsite opened at noon today. Bands will take to the stages tomorrow for the two-day event. There are one-hour delays for traffic getting through Naas Town. For drivers coming from the south of the country there are delays on the N7 northbound at Abbeyleix. With most of the traffic is coming from Dublin direction, there are delays on the N7 Naas Road outbound from the Long Mile Road to Newlands Cross. Traffic on the M7 is very heavy. 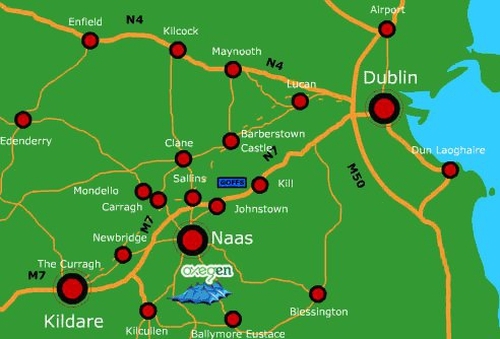 Traffic on the M50 southbound is heavy from the M1 to the N7 Naas Road exit. Motorists are being also advised to avoid Parnell Square as large crowds are gathering there for the Oxegen shuttle busses. The bus service is taking two hours to arrive at Punchestown Racecourse.